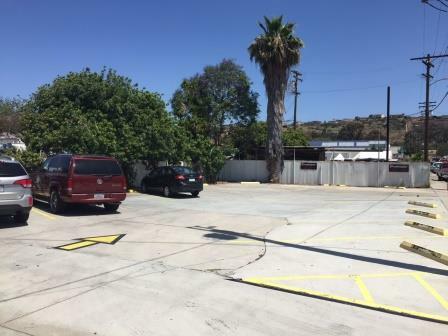 12,610 Sf Hard Corner Retail Building on 16,381 Sf Lot with Additional 3,779 Sf Parking Lot in Rear. Features: High Visibility Hard Corner, Prominent Signage, SANDAG Traffic Count: 22,200 on Broadway Alone, 10 Parking Spaces In Front, 13 Parking Spaces In Rear, Easy Freeway Access Right off the 94 at the Lemon Grove Ave. Exit. 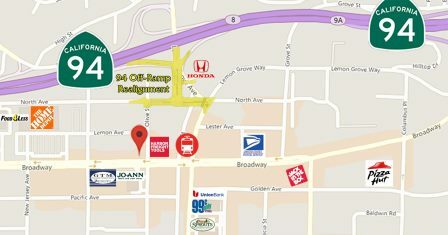 Location: Right off 94 Freeway, Just West of Broadway and Lemon Grove Ave Intersection. One Block From Major Transit Hub Lemon Grove Depot. Zoning: General Commercial – GC: Allows for generally large-scale businesses and activities offering retail goods and services meant to serve the needs of local and regional shoppers. Including: Retail, Food and Beverage Establishments, Brewpubs, Wine Bars Personal Services, Medical, Dental, Clinics, Health Practitioners, Business and Professional etc.